Call us at (432) 363-8182 today. For more information or to schedule an appointment with our Odessa chiropractor, call (432) 363-8182 today! Our clinics are unique because we 3rd party bill after an accident. We refer to attorneys for help. Our staff is amazing and got the extra mile. HQ now is the only clinic in our area that has a MLS Laser. Parliament does all the work for the doctors that need a new associate and for the associates we help find the perfect work family. We do the background checks, check references, and weed out what’s not meant for the customer. Our chiropractic clinics are located throughout Texas and New Mexico. 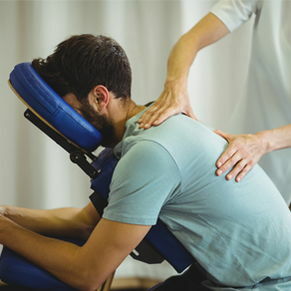 We are committed to providing chiropractic solutions to address your unique needs, whether you are experiencing back pain, neck pain, headaches, or even muscular tightness and tension. You may be searching for pain relief after an accident, experiencing an injury, or if you suffer from a specific condition like chronic back pain or a spinal condition. Even if you are looking to improve your overall health, our chiropractors can help you attain your everyday wellness goals! Visit our testimonials page to find out what our patients are saying about our chiropractors and chiropractic care plans. At your first visit to HQ Chiropractic, our doctors will explain how chiropractic care works and give you a full evaluation to see if our chiropractic solutions are a good fit to address your needs. If there is a good fit, we can customize a plan of chiropractic care for your condition and health goals. If you have not been to a chiropractor before and want to find out more, please contact us or call one of our clinics to receive the answers to your questions from our experienced team. We also welcome referrals, so we invite you to share our chiropractic and wellness information with your friends and loved ones. All clinics are chiropractic offices dealing in personal injury (auto accidents), slip and falls. HQ clinic is the only clinic in the area with MLS Laser Therapy. A non-invasive pain management technique that uses low-level laser therapy to reduce pain and inflammation. We focus on helping people to relive pain in a non invasive way, with a staff committed to making you feel good. Learn Who We Are - Coming Soon!